Home Premier league. Mourinho Drops Big Hint On Fellaini's Future. Jose Mourinho has admitted that he is unsure whether Marouane Fellaini will still be at Manchester United After the summer transfer window. The Red Devils midfielder is set to become a free agent in the summer after entering the final six months of his current deal at Old Trafford. Fellaini has been linked with a potential exit at Old Trafford amid talk of interest from Turkish club Besiktas. The 30-year-old has found his first-team opportunities limited at Manchester United this term following the arrival of Nemanja Matic. Also Read: Fa Cup Fines Manchester City For Poor Conduct. 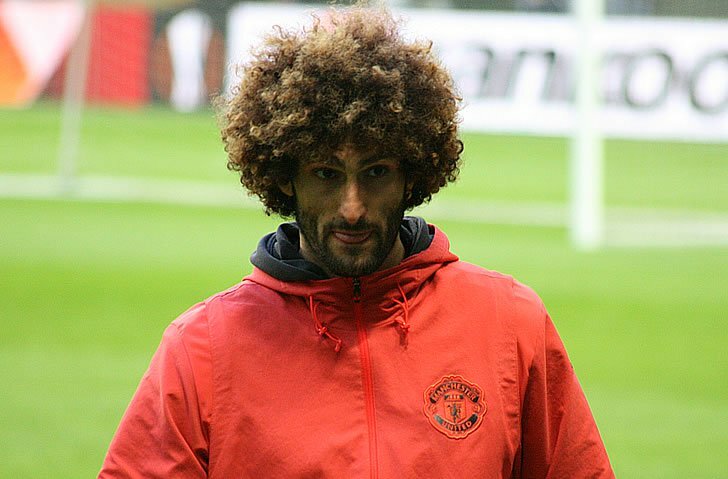 Fellaini has spent four and a half seasons at Manchester United following a move from Everton in a £27m deal in 2013. While his signing was initially met with skepticism, the Manchester United midfielder has managed to win over most Red Devils supporters. Asked about Fellaini’s future at his pre-match media conference at Carrington training ground on Friday, Mourinho was unable to shed light on the Belgian star’s future. “Is he going to stay or leave? I don’t know. I don’t know. I want him to stay, the club wants him to stay,” Mourinho said. Manchester United are in second place in the Premier League table and two points ahead of Liverpool FC ahead of their meeting at Old Trafford on Saturday 10 March.